This compelling photographic history examines the war in its entirety, from its causes and protagonists to the strategies, weapons and battles. Goldstein and Maihafer have collected more than 450 vivid photographs, many never before seen by the general public. 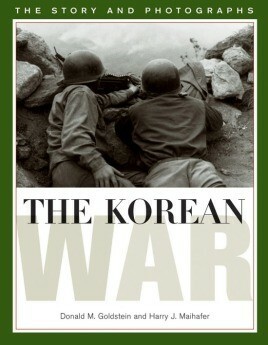 Unfortunately, due to sales rights restrictions, we cannot offer The Korean War for sale in your country. This compelling photographic history examines the war in its entirety, from its causes and protagonists to the strategies, weapons and battles. Goldstein and Maihafer have collected more than 450 vivid photographs, many never before seen by the general public. Published on the fiftieth anniversary of the Korean conflict, The Korean War remembers the experience of the American fighting man in "the forgotten war."